The article is about cooking with fruit, so I thought a jam filled cookie would be perfect. I love how pretty these Linzer cookies came out. 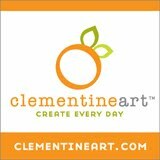 They are made using ground pecans, which compliment the buttery, shortbread texture very well...and, the cherry jam is perfect here. But, you can use any flavor jam you wish. If you want to make them ahead of time, you can cut the shapes out, bake them, then freeze once cooled. Let them thaw at room temperature for about 15 minutes, before filling with jam & dusting with powdered sugar. 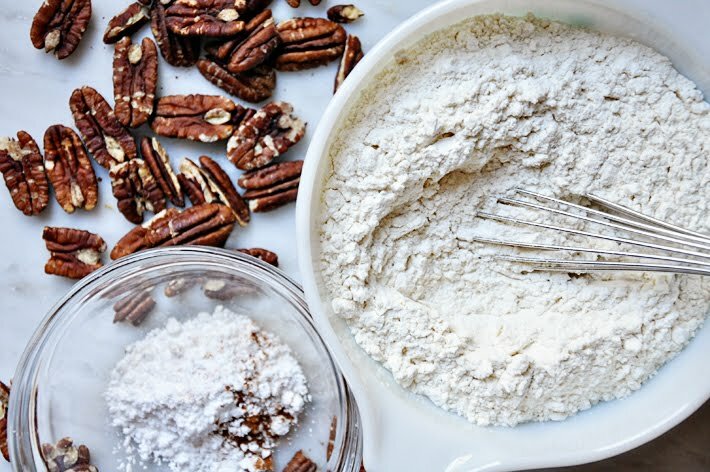 Begin by toasting 3/4 cups of pecan halves, either in a dry skillet over medium heat, or in a 350 degree oven. Toast for about 5 minutes. Be careful, nuts burn quickly! Set aside to cool completely before proceeding with the recipe. Next, in a mixing bowl, whisk 2 cups flour & a 1/2 teaspoon baking powder until combined. Set aside. 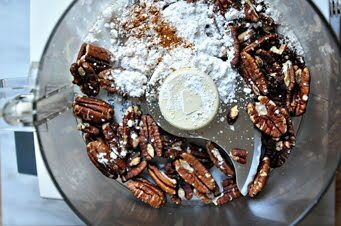 Add the toasted pecans, 2 tablespoons powdered sugar, 1/8 teaspoon salt & an 1/8 teaspoon ground cinnamon to the bowl of a food processor. Pulse until the nuts are finely ground. Transfer to the bowl of an electric mixer, fitted with a paddle attachment. 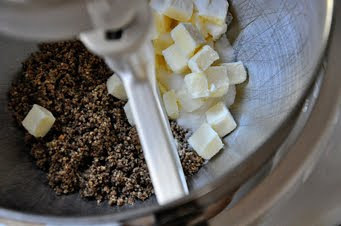 Cut one stick of slightly softened unsalted butter into small pieces & add to the bowl, along with a 1/4 cup of sugar. Blend until light & fluffy. Add 1 teaspoon vanilla extract & 1 large egg, blend until incorporated, scraping down the sides of the bowl, as necessary. Turn the mixer to low & slowly add the flour mixture, beating until just incorporated. Transfer the dough to a lightly floured work surface & shape into a ball. Cut the dough in half & shape each half into a disc. Wrap the discs in plastic wrap & refrigerate for at least 2 hours. Preheat the oven to 375 degrees. Roll out the dough, one disc at a time, to an 1/8" thickness. 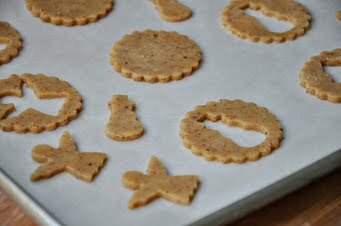 Cut the cookies out using a 2" scalloped edge cookie, or biscuit cutter & arrange them on a parchment lined baking sheet. 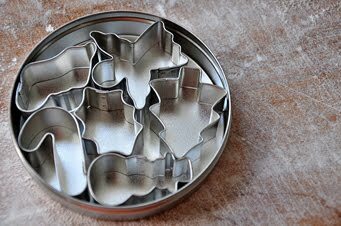 Using mini cookie cutters, cut shapes out of the centers of half the cookies. These will be the tops. Bake for 10 minutes, rotating the pans halfway through the cooking time. Let the cookies cool slightly before transferring to a rack to cool completely. 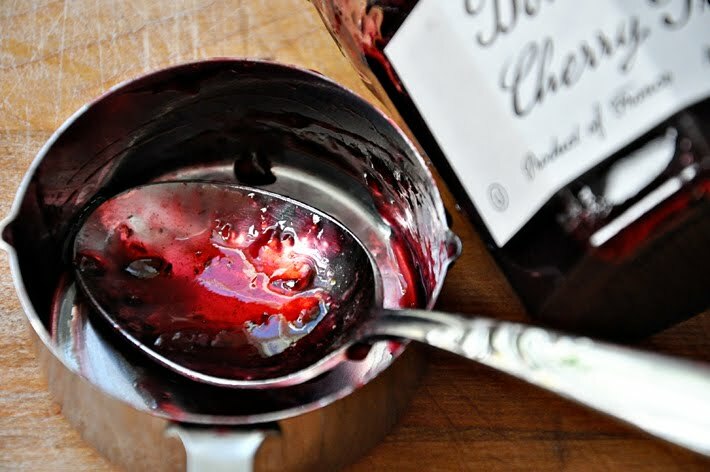 Next, you will need about a 1/2 cup of cherry preserves. When the cookies are completely cool, add some powdered sugar to a small sieve & tap a dusting of sugar over all the cookie tops. Spread a layer of cherry preserves over the cookie bottoms & place the tops on. The cookies can be stored in an airtight container for up to 2 days. 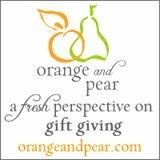 Begin by toasting the pecan halves, either in a dry skillet over medium heat, or in a 350 degree oven. Toast for about 5 minutes. Be careful, nuts burn quickly! Set aside to cool completely before proceeding with the recipe. In a mixing bowl, whisk the flour & baking powder, until combined. Set aside. Add the toasted pecans, powdered sugar, salt & cinnamon to the bowl of a food processor. 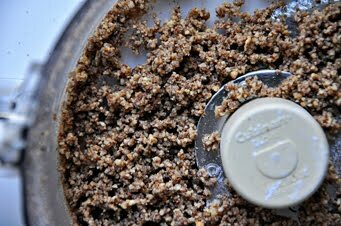 Pulse until the nuts are finely ground. Transfer to the bowl of an electric mixer, fitted with a paddle attachment. Cut the butter into small pieces & add to the bowl, along with the sugar. Blend until light & fluffy. Add the vanilla extract & egg, blend until incorporated, scraping down the sides of the bowl, as necessary. 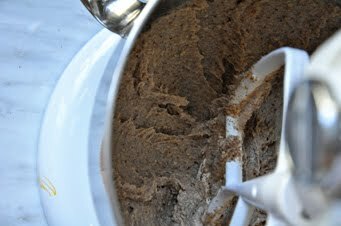 Turn the mixer to low & slowly add the flour mixture, beating until just incorporated. 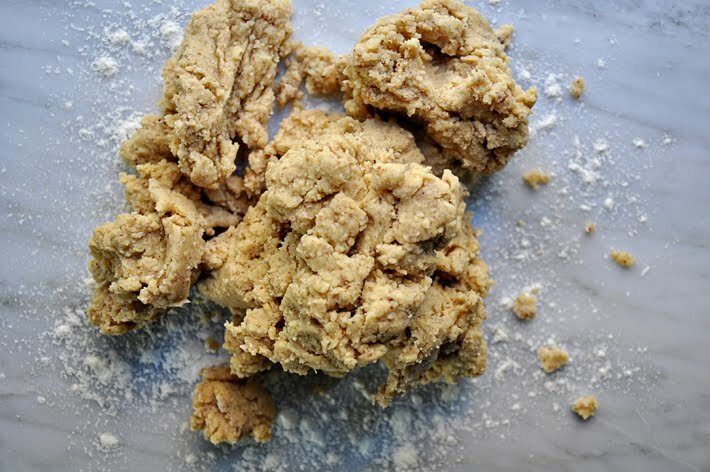 Transfer the dough to a lightly floured work surface & shape into a ball. 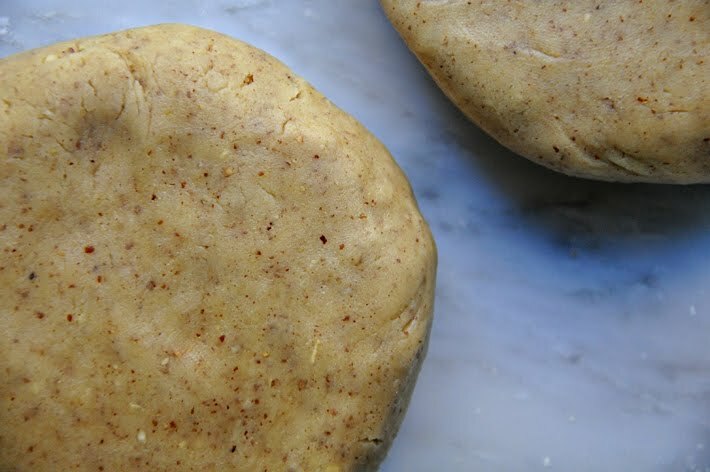 Cut the dough in half & shape each half into a disc. Wrap the discs in plastic wrap & refrigerate for at least 2 hours. Preheat the oven to 375 degrees. Roll out the dough, one disc at a time, to an 1/8" thickness. Cut the cookies out using a 2" scalloped edge cookie cutter & arrange them on a parchment lined baking sheet. 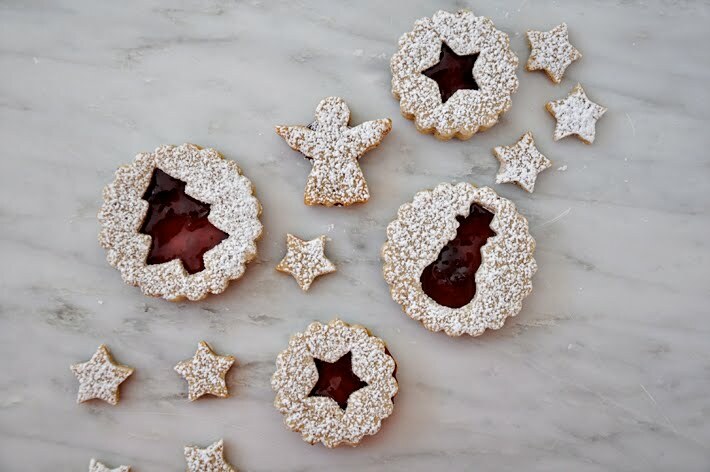 Using mini cookie cutters, cut shapes out of the centers of half the cookies. These will be the tops. Bake for 10 minutes, rotating the pans halfway through the cooking time. Let the cookies cool slightly before transferring to a rack to cool completely. 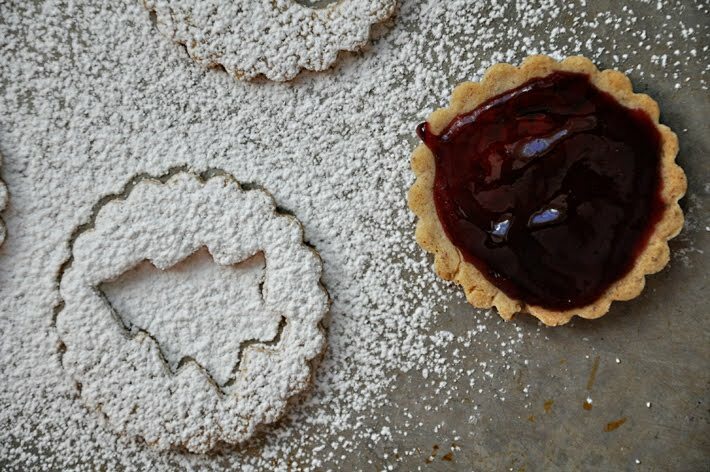 When cool, add some powdered sugar to a small sieve & tap a dusting of sugar over all the cookie tops. Spread a layer of cherry preserves over the cookie bottoms & place the tops on. The cookies can be stored in an airtight container for up to 2 days. 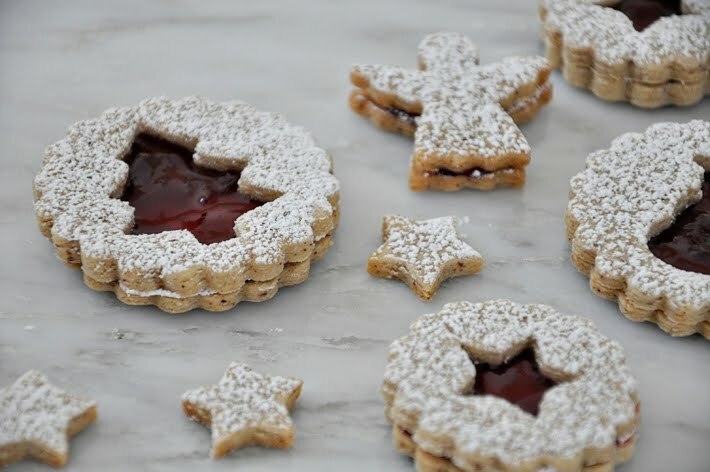 Linzer tarts are my brother's absolute FAVORITE cookie and I know he'd be thrilled if I made him these! Thanks for posting this! And congrats on being asked to write for NEET! That is awesome. Absolutely STUNNING! What a wonderful contribution to the magazine! WOW!! oh my gosh my mom makes these every christmas. nostalgia! NOSTALGIA! you and I are on the same brainwave. zucchini blossoms? just got back from italy and fell in love with them. 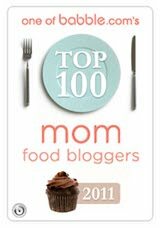 your blog is beautiful, want to be you when i grow up.